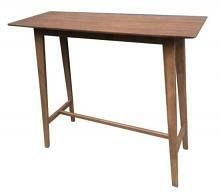 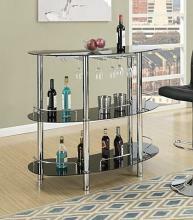 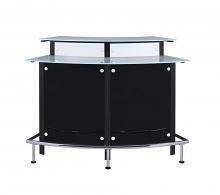 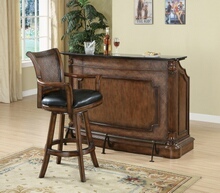 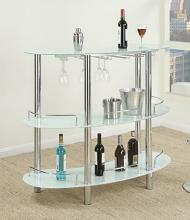 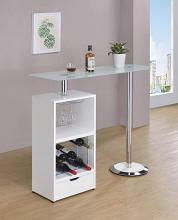 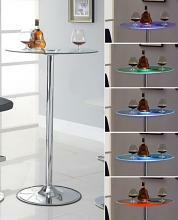 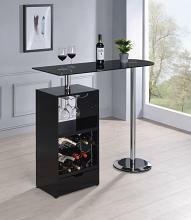 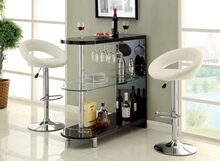 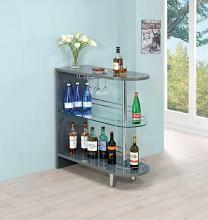 Our online Bar stools and Bars category is filled with bar units and bar stools in several different shapes and styles for your home and office, ranging from Wood and metal to a combination of the 2 with several different styles to choose from , from Modern sleek designs to Contemporary traditional styles. 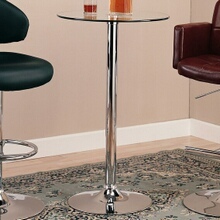 Several bar stools have swivel seats and and arms but some are backless with country style bench seats to a leather like vinyl padded seat to a full swivel seat and counter height or traditional bar height, please type in our search bar any keyword you would like to search for and it will bring up all the results. 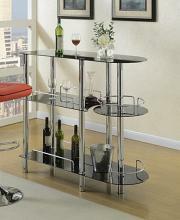 This set works nicely in the room I chose but I did not check the size first and had to make it work.